Ships tomorrow if you order in the next 24 hours 14 minutes. 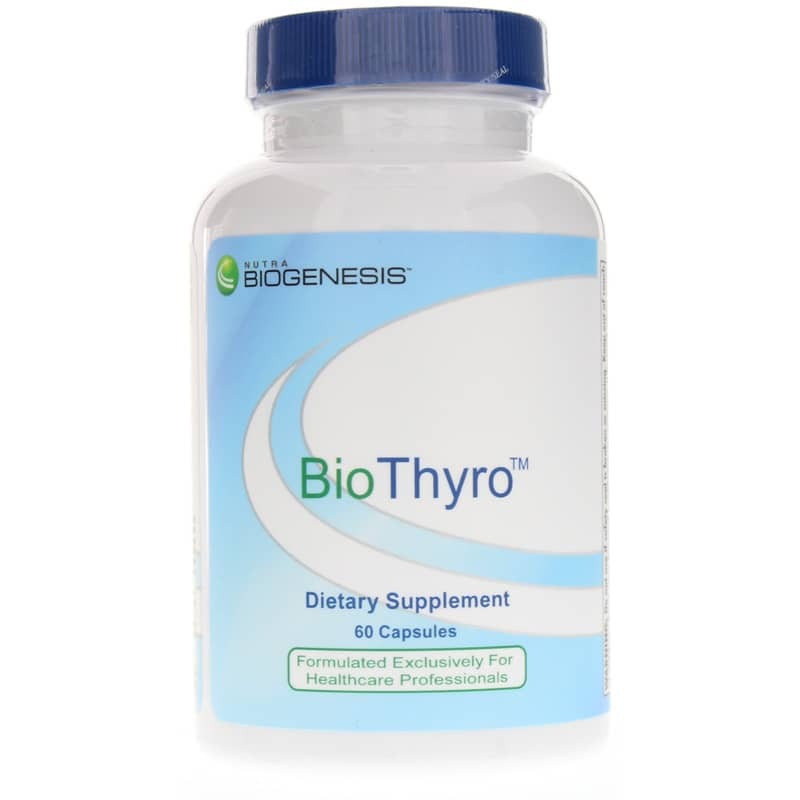 BioThyro uses state of the art nutrients designed to support optimal thyroid function and efficient peripheral T4 (thyroxin) to T3 (triiodothyronine) conversion. In other words, BioThyro helps support thyroid function at its best and improves the body's utilization of thyroid hormones. Iodine is the most important mineral for the thyroid gland. Iodine, along with tyrosine is used to actually manufacture thyroid hormones. BioThyro uses a type of kelp to supply the organic protein bound iodine the thyroid needs. Glandulars such as Hypothalamus, Pituitary, and Thyroid (Thyroxin-Free) are freeze-dried, hormone free, and range grazed bovine from New Zealand. These clean glands provide many trace factors, co-enzymes, fatty acids, amino acids, proteins, etc. that cannot be overlooked. 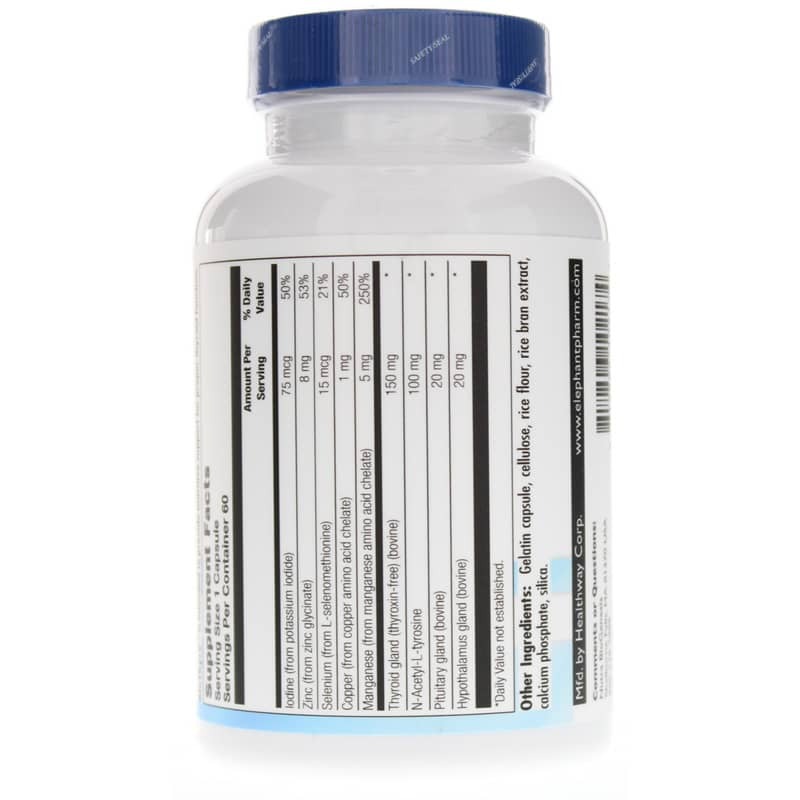 BioThyro provides you with the target glands that regulate the thyroid glands function. They are provided to enhance the hypothalamus to balance its thyroid releasing hormone (TRH) output, to balance the pituitarys thyroid-stimulating-hormone (TSH) output, and the thyroids thyroxin (T4) and triiodothyronine (T3) hormone output. The importance of glandular support is not overlooked in BioThyro. N-Acetyl-L-Tyrosine is a special form of the amino acid L-Tyrosine. 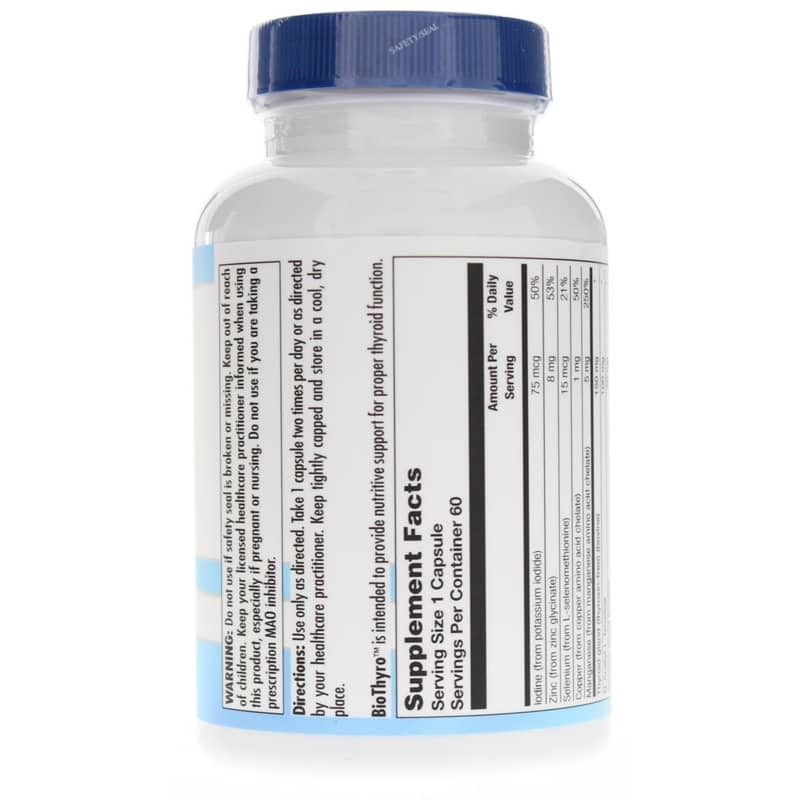 This acetylated form is rapidly absorbed and highly bioavailable by the body's tissues. Tyrosine is involved in Thyroid hormone production with its cofactor iodine. It is also involved in adrenal hormone production, neurotransmitter production in the brain, and the skins tanning compound melanin. In BioThyro, the emphasis is on enhancing optimal thyroid hormone production. Copper, zinc and manganese are trace minerals involved as co-factors in enzymatic conversion of T4 "thyroxin" (the weaker thyroid hormone) to T3 "triiodothyronine" (the stronger thyroid hormone). The enzyme needed for this conversion is deiodinase and its activity is dependent on good trace mineral status. Without proper conversion of thyroid hormones the body's cells would run at a lower than normal metabolic rate (burn fuel "calories" slower). Other Ingredients: gelatin capsule, cellulose, rice bran extract, calcium phosphate, silica. Adults: Use only as directed. Take 1 capsule two times per day or as directed by your healthcare professional. If you are pregnant or nursing, please consult your healthcare professional before using this product. Do not use if you are taking a prescription MAO inhibitor. Keep out of the reach of children. Helps my dog have more energy. I was able to get this at the same price with very little trouble. Will continue to order it. I haven't noticed a difference in my energy. I think I will get my supplements at Whole Foods from now on. Have found that all the products I've ordered come quickly and are of the highest quality!